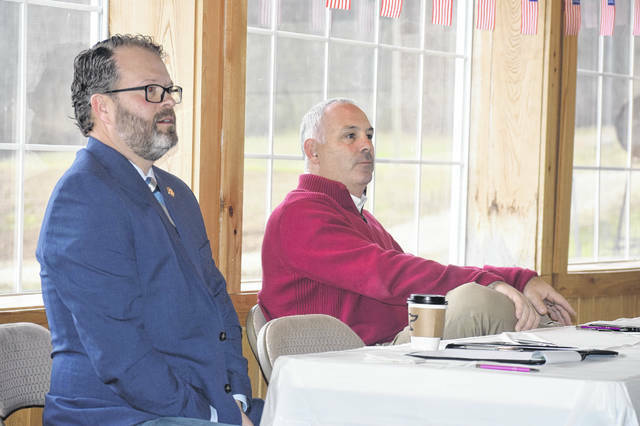 New Paris Chamber of Commerce Convention and Visitors Bureau held a legislative meeting on Friday, April 5. Speakers included Representative J. Todd Smith and Senator Stephen Huffman. 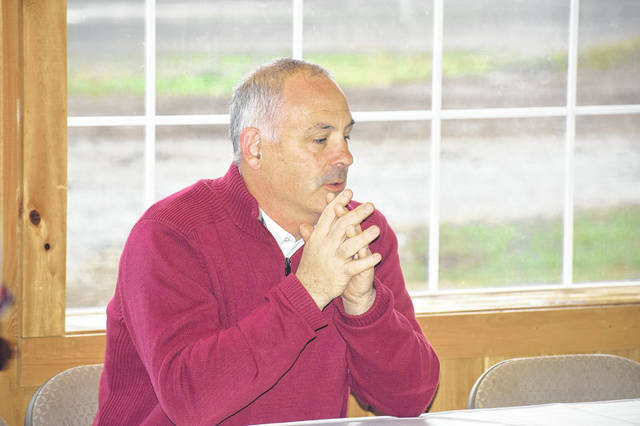 NEW PARIS — New Paris Chamber of Commerce Convention and Visitors Bureau held a legislative meeting on Friday, April 5. Speakers included Representative J. Todd Smith and Senator Stephen Huffman. •School funding and a proposed formula which would seek to “improve” funding for schools. 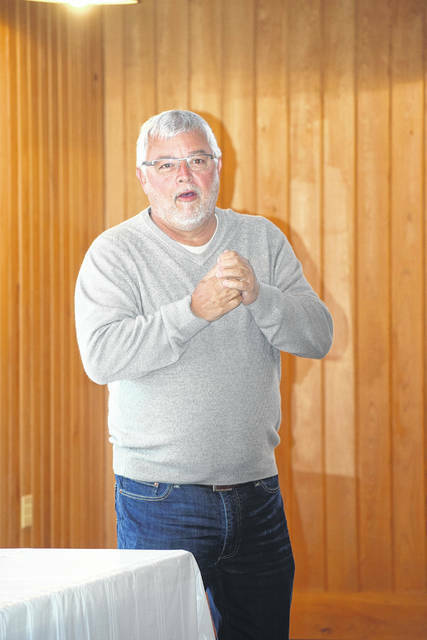 National Trail Superintendent Bob Fischer asked both speakers what their opinions on the Cupp, Patterson School Funding Proposal. “The ways we fund schools is, as we all have heard many times, unconstitutional, but we are so used to that. The fact that we have to go to our communities and ask for money. It is taking dollars away from tax payers. With the current Cupp, Patterson report that is out there, I will tell you that for me that is a great first step,” Fischer said. “The way it is currently done is on a per student basis, but the school only receives a portion of that per student basis. For example, if it is $6,000 to educate that student, as a district you are only getting a percentage of that based on your wealth as a school district. Here at National Trail, we only get to see sometimes up to 45 percent of that money. We are only receiving approximately $3,000 of that. 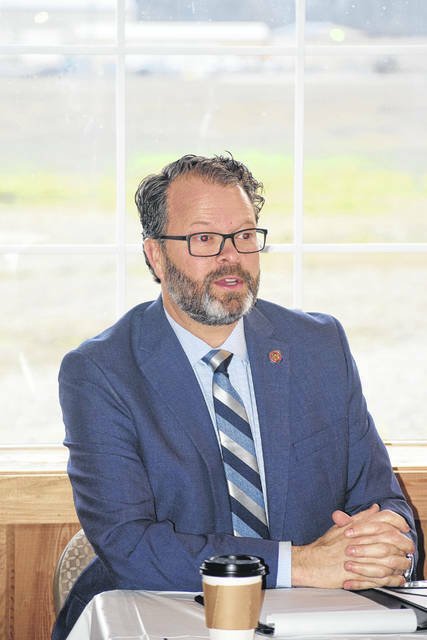 Representative Smith added, “No matter where it comes from, it is tax money. People say, ‘We’re having to pay for it here, the State needs to pay for it.’ Guess where the State gets its money from? It’s you. Either way, it’s an arbitrary number and that is what Cupp Patterson is trying to do. •The inclusion of religion in public schools. New Paris Council Member Mary Jane Thomas brought up prayer in school and “giving kids an opportunity” to have an “education of the Bible.” She asked if that was possible for the area, noting it might improve “mental health issues” in the school. Huffman responded, it is possible and he has seen it done in public schools in the State of Ohio. •How to grow businesses in New Paris and bring business to the area. Representative Smith talked about opportunities to get money out into the community and the budget surplus. 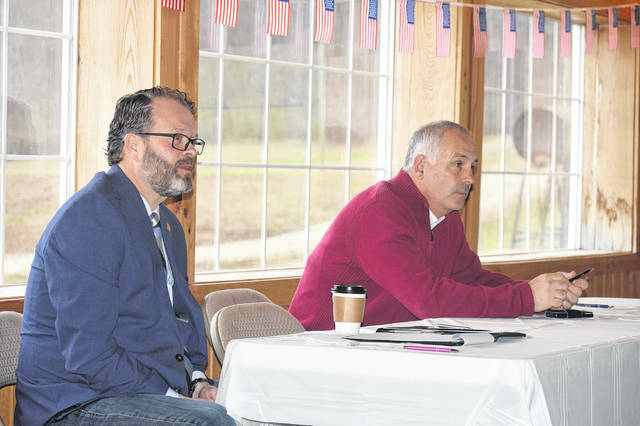 https://www.registerherald.com/wp-content/uploads/sites/41/2019/04/web1_Leg4.jpgNew Paris Chamber of Commerce Convention and Visitors Bureau held a legislative meeting on Friday, April 5. Speakers included Representative J. Todd Smith and Senator Stephen Huffman.